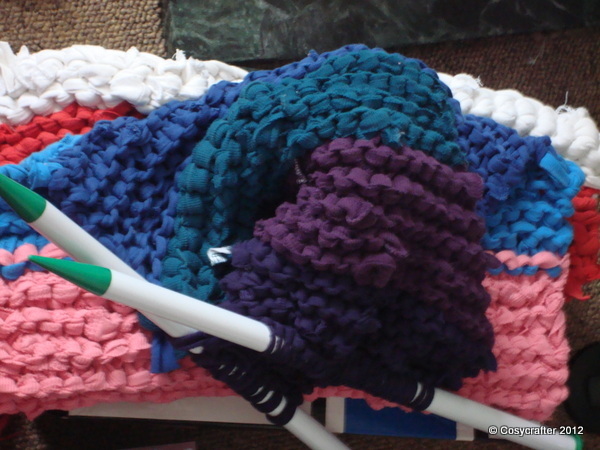 I found a great idea for using up old t-shirts in a book called ‘Making Stuff: An Alternative Craft book’ – knit them into a bathroom rug. Yeah, I was a bit confused about how I could knit a t-shirt, but once you start doing it, it’s really simple. Essentially you get a lot of old t-shirts and cut them into long strips, ie, by cutting round and round the t-shirt. You also need giant knitting needles. The book said 15 mm plastic ones, which is what I used. You cast on 30 stitches and away you go. 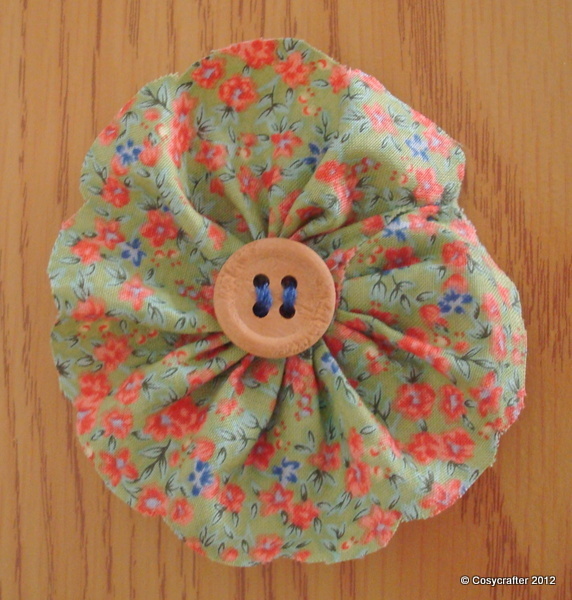 Posted in Home and tagged craft, d.i.y, handmade, knitting, recycled, rug, t-shirts. Bookmark the permalink.